Binance is a relatively new, coin to coin cryptocurrency exchange. The company is located in Tokyo, Japan, but is open to users from around the world. It has a heavy focus on the Asian markets, with its initial launch offering both English and Chinese languages. Binance plans to also add Korean and Japanese functionality to its platform, a major addition given the presence of crypto in these countries. Binance was not entirely self-funded and is backed by a large amount of fundraising. 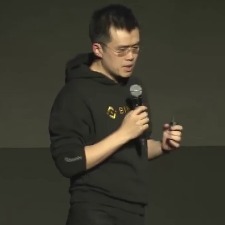 It’s founder, Changpeng Zhao, is proud of the team he has assembled to to build and grow Binance into a leading online crypto exchange. His goal was to build the fastest, most efficient exchange available, and many would argue that he was successful. When compared to other similar coin to coin exchanges like Bittrex, Binance is a clear leader. Not only is Binance extremely fast when it comes to trade execution, but the site also has one of the largest catalogs of coins to trade from. Many sites offer the core cryptocurrency coins, but Binance is a quick mover when it comes to recent ICOs, or smaller market cap coins that aren’t available everywhere. For users, this means that coins can be efficiently consolidated into one Binance account, eliminating the need for multiple, redundant accounts at many different exchanges in order to simply trade lesser known coins. What Coins Can be Traded at Binance? Binance has over 200 unique trading pairs available. While there are over 200 pairs, the amount of actual unique coins (in any pairing) is much lower. All of the core, largest market cap coins, including BTC, ETH, XRP and so on are all available for trading in multiple pairs. If your coin is listed, but your trade is not in the desired pairing, you can complete an initial trade in order to ultimately obtain the coin of your choice. Each coin has varied pairings for trades. For example, XRP (Ripple) is paired with BTC and ETH alone. When you look at ICX (Icon), however, you will see that it is paired with BTC, ETH and also BNB. BNB is Binance Coin, which is the exchange’s own coin that ICO’d with its launch. As a whole, pairings at Binance are much more dynamic than at most exchanges. The lightning speed of the interface itself is what strikes most users first. Exchanges have frequently been vilified for their slow and clunky platforms, especially during times of heavy trading volume. Binance’s mission was largely to eliminate those lags by creating a smoother and worry-free experience. Nothing is more frustrating than not being able to complete a buy or sell order when a coin’s price is moving dramatically. If this has happened to you, Binance is a solution. 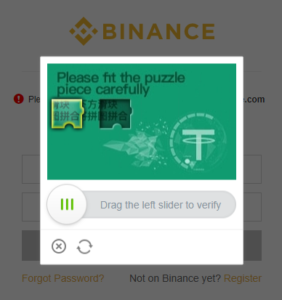 The actual usability of Binance’s platform is strong. If Binance were the first cryptocurrency exchange you ever used, you may, at first, be overwhelmed. The flashing numbers, symbols, and charts can certainly be intimidating if you are new to trading cryptos. For this reason, Binance would be a tough place to start for anyone brand new to cryptocurrencies. This is also part of why they do not accept FIAT deposits or withdrawals in any form. Binance is built to be a coin to coin exchange only, and it does not promote itself as a beginner’s destination. As an experienced user of crypto exchanges, you will find Binance to be loaded with useful information. Charts and data of all types are readily available. When it comes time to make a trade, odds are that you will be pleasantly surprised by the ease at which buy and sell orders are placed and processed. Limit, Market, and Stop-Limit trade options are available for all buy and sell orders. Your balance for the coin in question’s pairing will be displayed in the section where orders are placed. For example, an ICX/ETH trade would show your total ETH available for trading. The Basic Binance trading platform is similar to many other exchanges. Highs, lows, recent trades, and volume numbers can all easily be located. The Basic trading interface is ideal for the bulk of users, and allows for quick and easy placement of trades. The Advanced Binance trading platform can be seen above. The intricacy of the Advanced layout is immediately apparent, especially when compared to the Basic version. This is much more akin to an expert level equities trading set up and its capability is a bit more than the majority of users will deem necessary. Deposits and withdrawals at Binance have a different meaning than they normally would at a FIAT exchange like Coinbase or Gemini. A deposit into Binance means that a listed coin is being sent from a third party wallet to your Binance wallet. As soon as a deposit is initiated, say, from your Trezor to Binance, the pending transaction can be found in your Binance account. From here you will be able to see both the number of current confirmations as well as the total number of confirmations required for the completion of the deposit. The ability to easily track the status of any given deposit provides added peace of mind for the user, especially when completing the initial deposits. Withdrawals are initiated when a coin in your Binance account is sent to another location, be it a different exchange or hardware. You will be able to track the progress of your active withdrawals at Binance. Your complete deposit and withdrawal history at Binance is documented in your account and can also be exported in its entirety as an .xml file. The fees for trading at Binance are among the lowest in the industry at just .1%. Users can also take advantage of Binance Coin when completing their trades, which in turn cuts transaction fees in half to just .05%. You will be hard pressed to find an exchange with lower fees than Binance, especially when considering the ability to cut these fees in half. By default, Binance sets accounts to use BNB for trades (when possible) in order to take advantage of the discounted trading, which in turn helps boost the overall usage of Binance Coin itself. There are three different tiers for accounts at Binance. These tiers are named Level 1, Level 2, and Level 3. As a new user, your account will be default set to Level 1. These base accounts are allowed to withdraw up to 2 BTC per 24 hour period. This applies to withdrawals only and not trading as a whole. In order to have your account elevated to Level 2, you will need to submit documents to verify your personal identity. Level 2 accounts are able to withdraw up to 100 BTC per 24 hours. When applying for Level 2 verification, you will be asked whether you are in China or elsewhere. From here you will need to submit your name, gender, and photo identification. International users (non-Chinese) have the option of using either passport or other forms of ID, such as drivers license, to complete the verification process. Level 2 is more than sufficient for virtually every trader in the world. If you happen to need the ability to withdraw over 100 BTC per day, however, you will need to apply for Level 3 verification. The process for Level 3 verification requires users to contact Binance in order to initiate this level of clearance. After submitting a contact form request, Binance will proceed with Level 3 verification on a case by case basis. Binance has a handful of security precautions in place for its users. Some of these precautions are required for all users when logging in, while others are optional. For example, when logging in, you will be prompted to complete a “puzzle” in order to verify that you are a real person. This is in place in order to help deter hacking attempts by automated programs or bots. Think of the puzzle as a more advanced captcha form. Once logged in, Binance users have the option to add a few additional layers of security. These include SMS Auth, used when a withdrawal is requested or changes to security settings are made, and 2 Factor Authentication, used whenever logging in. While these security options are not required or forced by Binance, it is highly recommended that they are used in order to protect the integrity of your account. The team at Binance has recruited hackers and asked them to attempt to hack the platform. They do this in order to find potential vulnerabilities that normal usage wouldn’t identify, but that a would be attacker could exploit. The viewpoint of outside, third party hackers helps to ensure that every possible entry way for a hacker is both identified and secured. Binance has made claims that are unique to the cryptocurrency industry. Beyond security on the site itself, Binance has said that they even go as far as to physically secure their office space. This is one step ahead of the game, and yet another way that Binance has separated itself from the numerous other exchanges that crypto traders can choose from. Since it is a new exchange with somewhat limited history in operation, it is difficult to determine how Binance would respond in the event of a security breach or otherwise negative security event. With that said, it has been built in a very transparent manner, with creators who are very easy to identify. This type of transparency goes a long way in the world of cryptos, especially when so much money is at stake. The team behind Binance has built a high quality product with impressive transaction times, so it is a safe assumption that their security would be strong as well. July 14th, 2017: Binance launches under the guidance of Changpeng Zhao. Binance Coin ICO starts. July 27th, 2017: Binance Coin ICO ends.